FOUR tidbits from the homeland this week. 1. Coke Studio has come to India! For those of you new to Coke Studio, it began in Pakistan four years ago, as a television show sponsored by Coca-Cola featuring live music and collaborations between Pakistani folk, eastern, classical, and contemporary musicians. It has become a runaway hit, and there is nothing quite like it in the region. From the melodies in Pashto and Dari to the pop compositions of Strings and Ali Zafar, from the sweet voices of Zeb and Haniya to the gravelly Garaj Baras rendition by Ali Azmat and Rahat Fateh Ali Khan and the irresistibly foot-tapping Chambey di Booti (Jugni) by Arif Lohar and Meesha Shafi, Coke Studio Pakistan enchants and delights. It doesn’t matter that you don’t know what the lyrics mean or what that instrument is called, it draws you in and doesn’t let you go. The second show is tonight. I, for one, am holding back on the criticism and am cheering with all my might. As much as MTV channel head Aditya Swamy says, “We are not at all worried about TRPs. All we want is to promote pure music [and] youngsters to enjoy the sound of various regions of India,” I am in no hurry to lose a genuine attempt to foster dialogue between India’s diverse musicians to low ratings and an indifferent audience. 2. Speaking of success stories, I was buoyed to learn of Indian chef Floyd Cardoz taking home the top prize in the 2011 season of the reality show Top Chef Masters. Top Chef—my favorite cooking show—is a competition among chefs featuring unusual challenges. 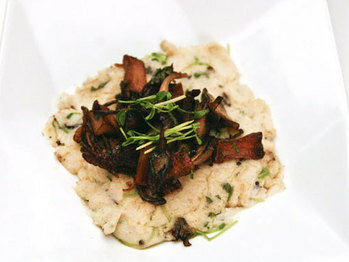 Past episodes have featured cook-outs on the beach, with the chefs catching the seafood they will serve; cooking with no utensils; cooking with whatever ingredients are on board a ferry; cooking meals reminiscent of their childhoods; cooking healthy versions of the favorite meals of contestants on The Biggest Loser, a weight-loss reality show; creating their own restaurants; and more. Cardoz, recently of the Indo-French restaurant Tabla, which shut its doors last December, is the new chef of the forthcoming Danny Meyer seafood restaurant in Battery Park, North End Grill. Am looking forward to trying it out! 4. Season with salt and pepper and cilantro. 3. You’ve probably heard of “coyotes” who bring Mexican undocumented immigrants across the border to the United States for hefty sums; in India, the coyotes are called “linemen” and they’re not much different. So says Scott Carney in the new issue of Foreign Policy, in his excellent story, “Fortress India.” In it, Carney describes a “Berlin Wall” that is being constructed by India on its border with Bangladesh, to keep its northern neighbors out. The wall has been in existence since the late 1980s, and is close to completion—the final section will be completed in 2012. In India, the 25-year-old border fence — finally expected to be completed next year at a cost of $1.2 billion — is celebrated as a panacea for a whole range of national neuroses: Islamist terrorism, illegal immigrants stealing Indian jobs, the refugee crisis that could ensue should a climate catastrophe ravage South Asia. But for Bangladeshis, the fence has come to embody the irrational fears of a neighbor that is jealously guarding its newfound wealth even as their own country remains mired in poverty. The barrier is a physical reminder of just how much has come between two once-friendly countries with a common history and culture — and how much blood one side is willing to shed to keep them apart. And with climate change wreaking havoc on ecologically sensitive Bangladesh, things are expected to get a lot worse. Situated on a delta and crisscrossed by 54 swollen rivers, Bangladesh factors prominently in nearly every worst-case climate-change scenario. The 1-meter sea-level rise predicted by some widely used scientific models would submerge almost 20 percent of the country. The slow creep of seawater into Bangladesh’s rivers caused by global-warming-induced flooding, upriver dams in India, and reduced glacial melt from the Himalayas is already turning much of the country’s fertile land into saline desert, upending its precarious agricultural economy. Studies commissioned by the U.S. Defense Department and almost a dozen other security agencies warn that if Bangladesh is hit by the kind of Hurricane Katrina-grade storm that climate change is likely to make more frequent, it would be a “threat multiplier,” sending ripples of instability across the globe: new opportunities for terrorist networks, conflicts over basic human essentials like access to food and water, and of course millions of refugees. And it’s no secret where the uprooted Bangladeshis would go first. Bangladesh shares a border with only two countries: the democratic republic of India and the military dictatorship of Burma. Which would you choose? The migrants will continue to come, and many will die—unnecessarily—at the hands of trigger-happy soldiers. Since liberalization of its economy in the 1990s, India has been keen to imitate the United States’ worst habits: McDonald’s; privatization to the detriment of the population; the workings of its newspaper industry, now foundering badly. In this, too, the U.S. example has not been a successful one. Criminalizing immigrants, erecting fences, xenophobic attitudes: none of this has worked. It’s time to find another path. 4. Finally, we are seeing India’s new Internet laws in motion, in the recent lawsuit for “grave harassment and injury” that businessman and Bollywood dabbler Arindam Chaudhuri has launched against journalist Siddhartha Deb, the publishers of The Caravan, which published Deb’s profile of Chaudhuri, Penguin, which is publishing Deb’s forthcoming book, The Beautiful and the Damned, of which the Chaudhuri chapter forms a part, and, bizarrely, Google India. Check out my previous post about the broad, vaguely worded and regressive new law. I hope to write more on this issue later, so I will keep it short here. 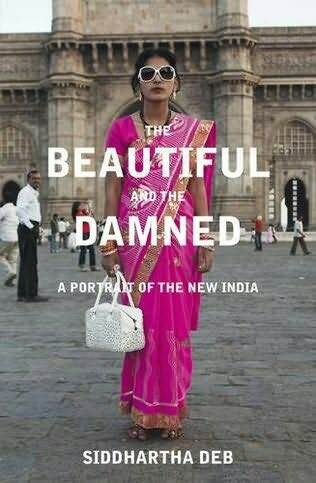 Please do read Deb’s profile of Chaudhuri: it’s exceedingly well-written, incisive and even-handed (apologies for the formatting; The Caravan was forced to remove the article from their website by the Assam court, where the suit was filed), and Chaudhuri’s fulminating rebuttal—where he praises the new Internet rules, and which was published in a magazine that he owns—here. The Caravan promises to keep readers updated on the progress of the case. In their editorial on the issue, they say that they intend to “fight this suit because we believe that we must defend the right of journalists to report on controversial subjects or persons without undue fear of legal intimidation from powerful entities or organisations that seek to insulate themselves from criticism.” Amen. 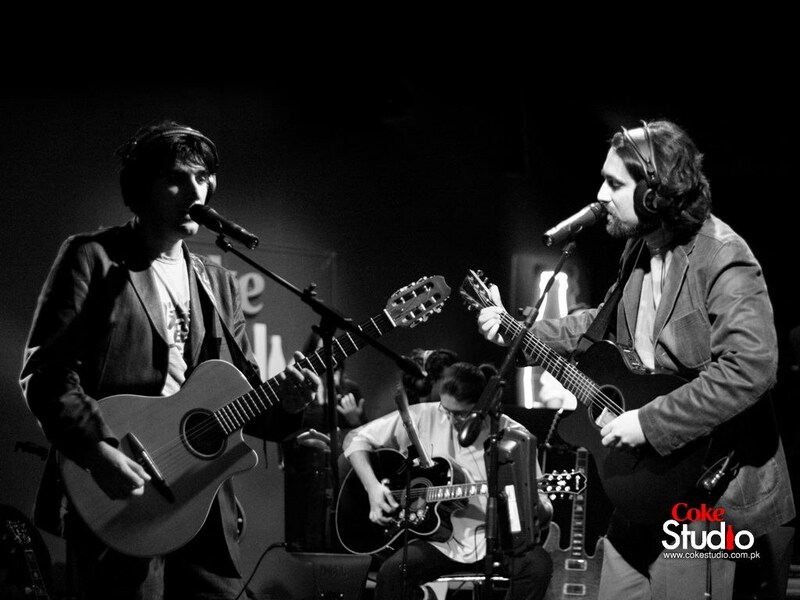 I remember watching some of Coke Studio Pakistan a few years ago, while still in Colorado and was blown away by it. It was successful because while fusion was part of what it did, it really showcased the individual artists. I hope your optimism pays off and Coke Studio India is able to deliver what Coke Studio Pakistan understands–in the end it has to be about the music. If the music is good, everything else shall follow, and that includes the TRPs. But sometimes I wonder if it also has to do with the fact that there are no other platforms in Pakistan for singers to showcase their talent. Coke Studio Pakistan essentially fills a void which is not the case in India. And so Coke Studio Pakistan can be whatever they want to be and thank God they choose to be brilliant instead of running after TRPs. In India, I am almost scared that competition from existing shows and Bollywood will make it difficult for Coke Studio to pursue excellence. Anyway, you should read Kamila Shamsie’s essay titled “Pop Idols” http://www.granta.com/Magazine/112/Pop-Idols/1 from last year’s Granta. It is a fascinating account of the history of pop culture in Pakistan and also discusses Coke Studio Pakistan and its producer Rohail Hyatt, who was actually part of one of the country’s earliest boy bands, the Vital Signs.